This lesson will show you how to create a custom cursor that you can use in LiveCode. 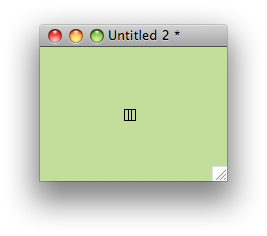 To use custom cursors you can set the cursor property. 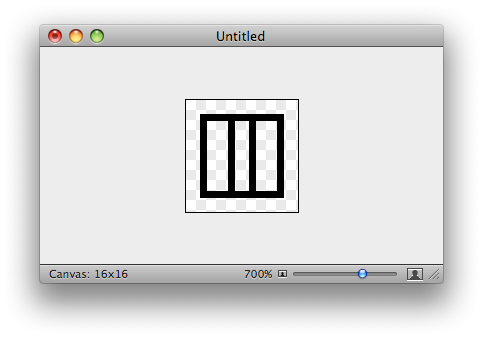 Create a 16x16 pixel image in your favorite image editing application. You can have black, white or transparent pixels. Export your image as a 32-bit PNG, a PNG with transparency. Import your icon PNG file into LiveCode. 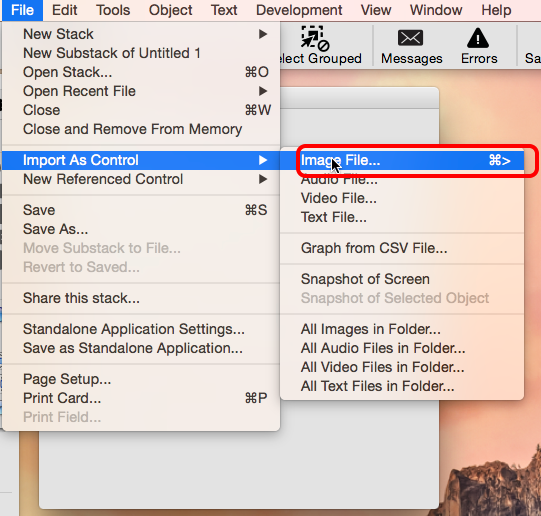 Set the defaultCursor to the id of the image you just imported. I created a button with the script you see here. Switch to run mode and click the button. Your cursor should change to your imported icon.